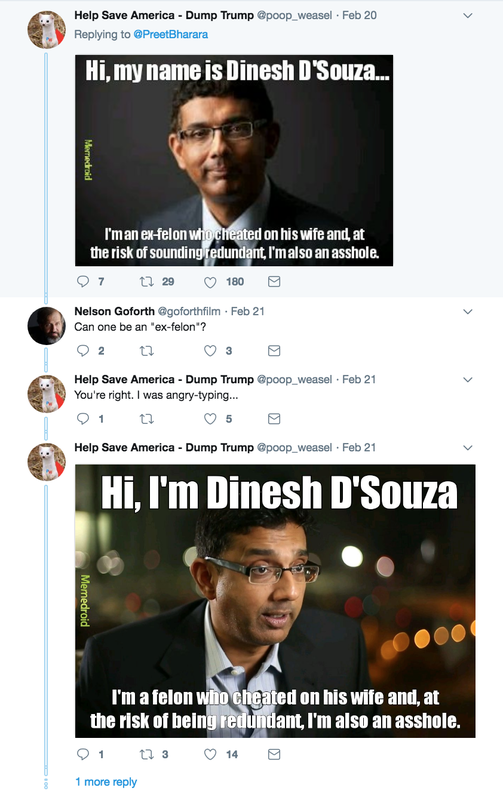 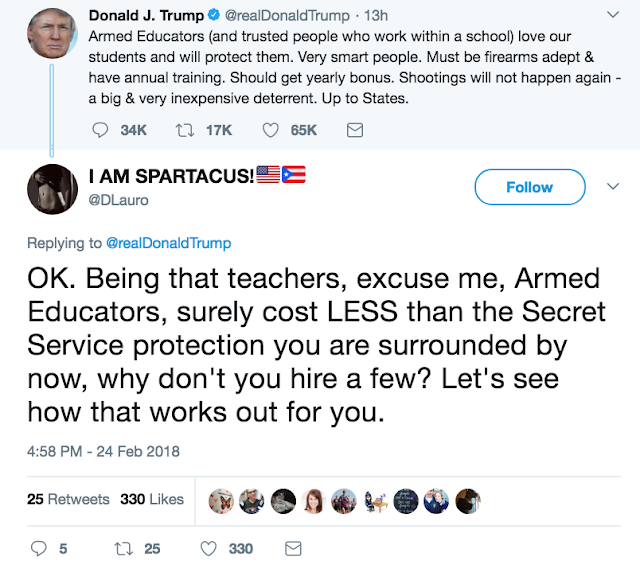 A few of the best Twitter responses to the NRA devotees' definition of a well-regulated militia. 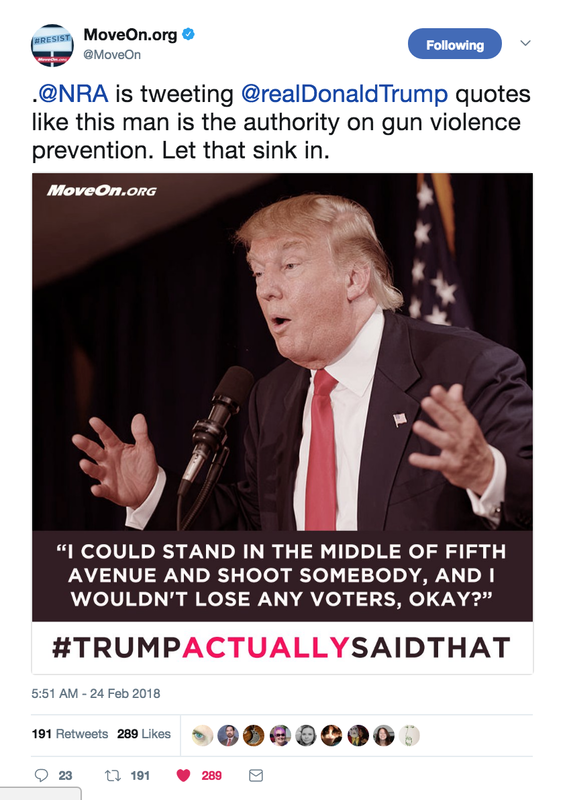 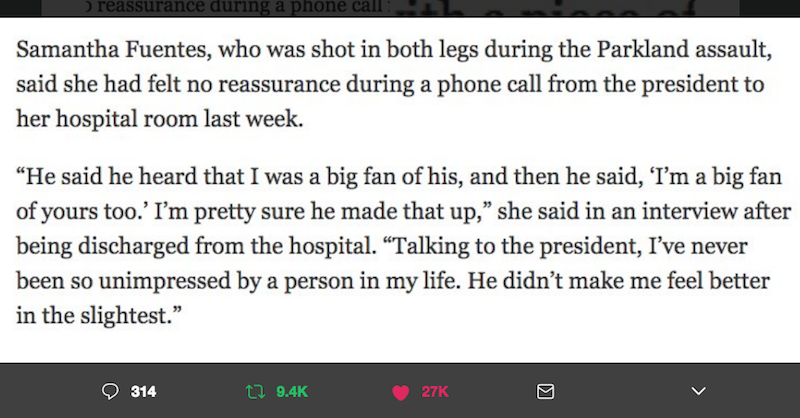 NRA and Trump, a couple made for a mutual restraining order, if ever there was one. 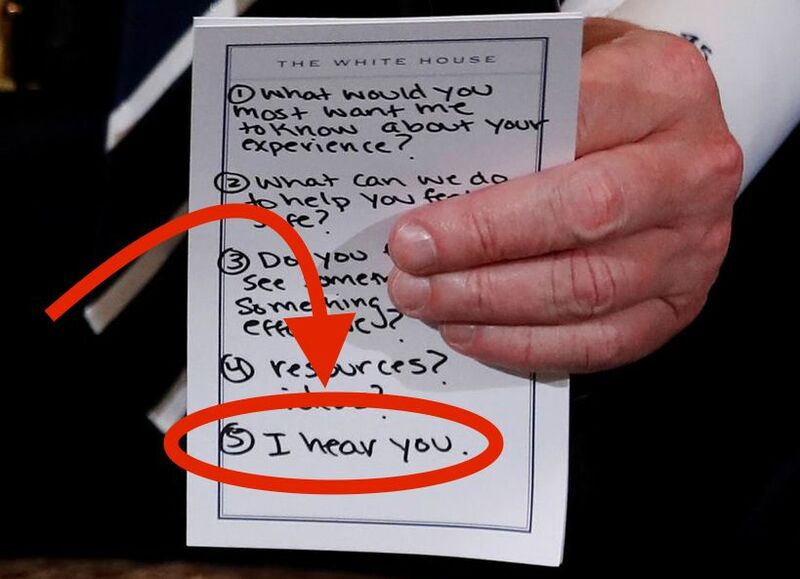 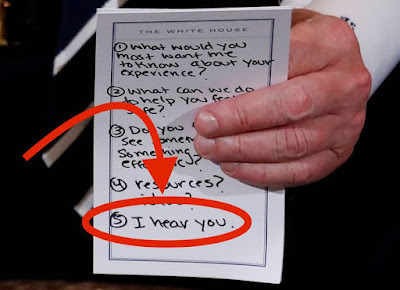 Mr. Needs-A-Crib-Sheet-On-Basic-Listening-Skills starts sympathy calls by talking about himself. 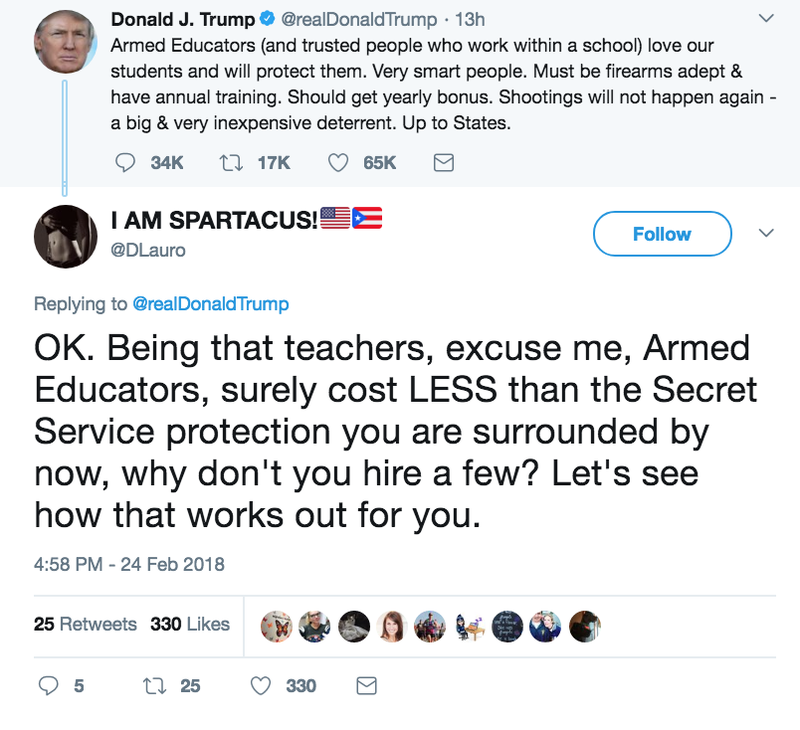 It will be even worse when he starts attacking the victims who aren't enamoured with his list. 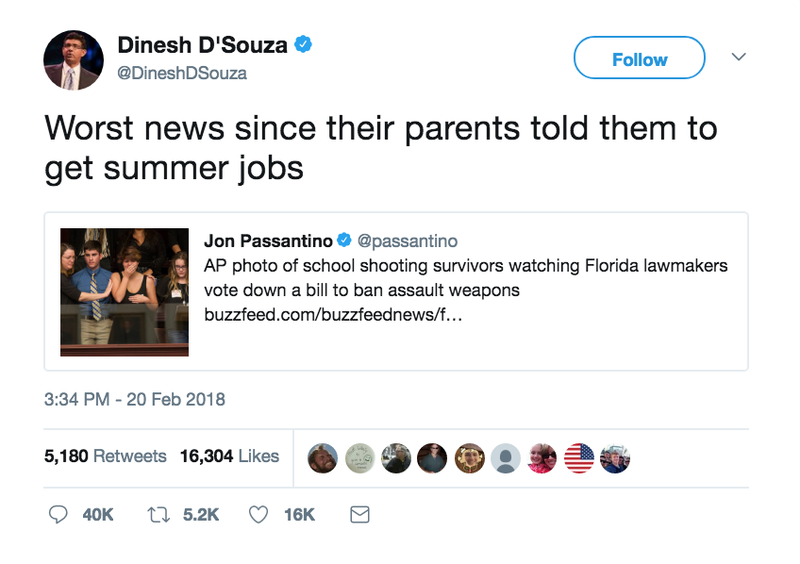 One of the least humorous and horribly insensitive tweets aimed at teenage school shooting survivors by a philandering felon. 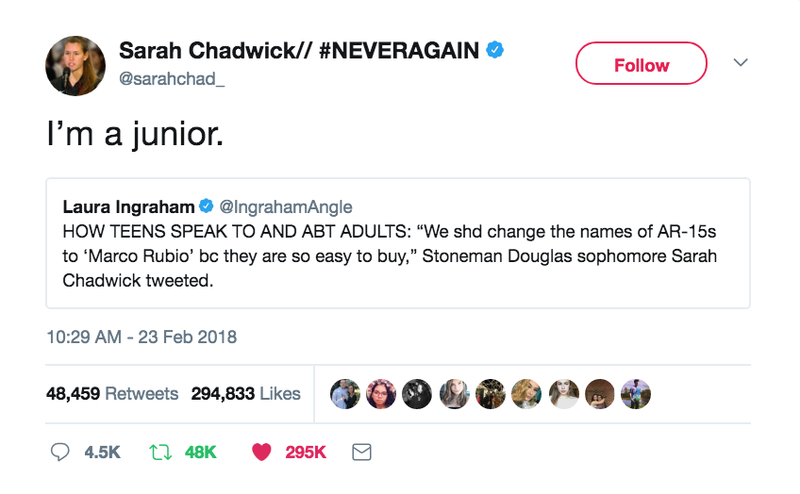 If you are going to come for teens standing up for dead classmates, make sure you've got something beyond name-calling in this presidential era. 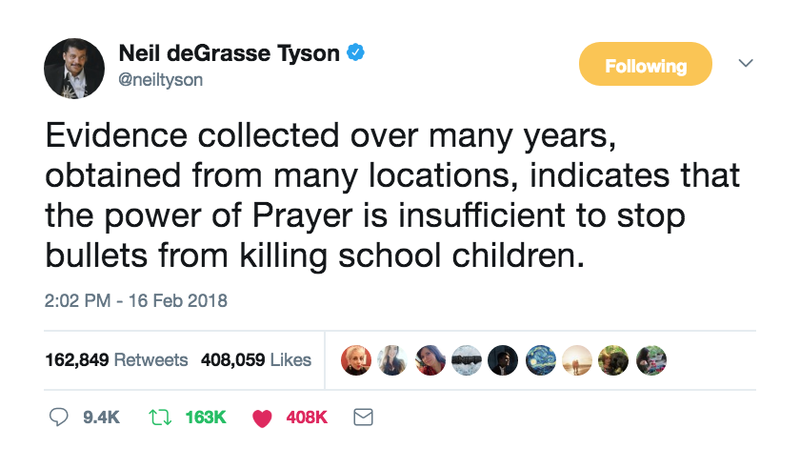 Neil deGrasse Tyson explains to the non-physicists the limits of thoughts and prayers. 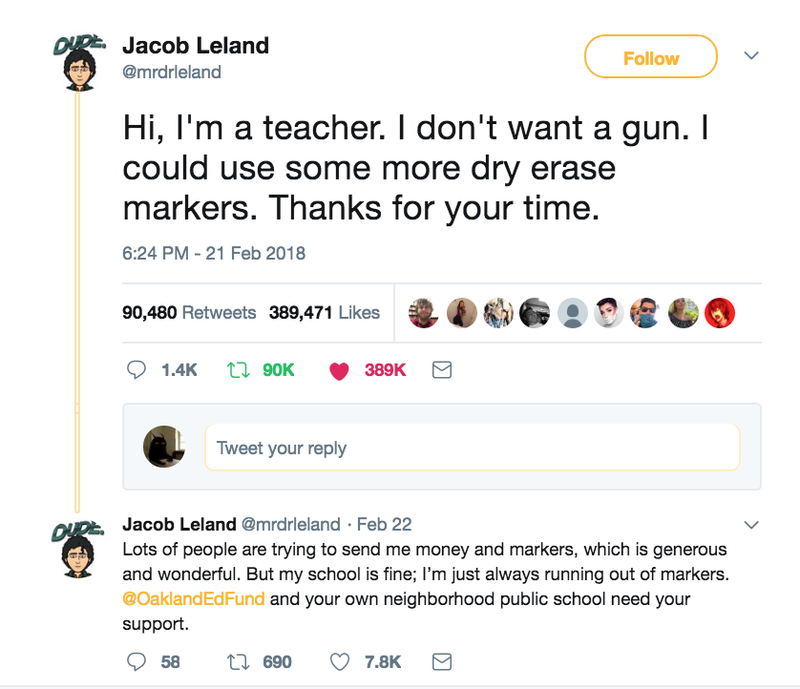 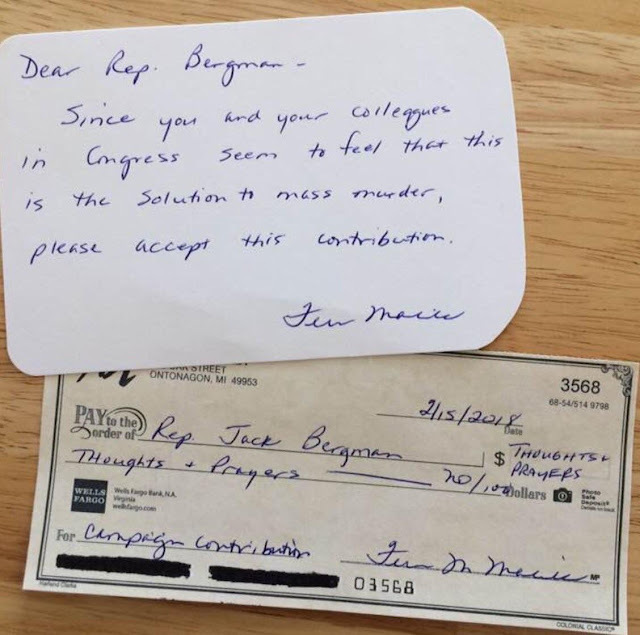 A practical solution from a teacher! 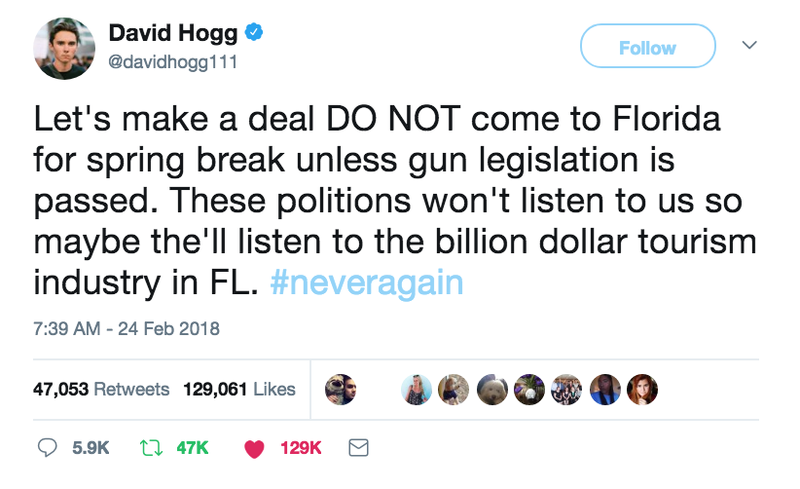 These kids are amazing and they may be able to accomplish the eradication of political dinosaurs that this country desperately needs.